I am relatively new to this photomatography game. I’ve had a reasonable interest since I got myself a Canon 400D DSLR about 8 years ago, but I relied heavily on the in-built features to make photos look good, and shot exclusively in JPG. It was only after I started blogging and wanting to improve my photography (back then it was mostly food photography), I took a few lessons on how to use the camera more effectively. One thing that stood out was the concept of shooting in RAW, which would enable more options for post processing. The teacher had recommended Lightroom for post processing as it was relatively affordable, and easy to use (compared to Photoshop for instance). I eventually bit the bullet and got myself a copy. I got a feel for it pretty quickly, and I fast tracked my learning by signing up for Ben Wilmore’s fantastic Lightroom Mastery tutorial on Creative Live – I highly recommend it if you’re just getting started with photography. Lightroom is awesome for about 95% of photo editing and catalogue management needs. I’m learning that there’s a couple of minor things (like the healing tool) that work better in Photoshop, but overall, it’s a comprehensive photo editor. You can even use it to do some really decent HDR photos via the (free) Google Nik Efex HDR plug-in. But then there’s the next level of ‘play’. Taking multiple images and overlaying or combining in strange and beautiful ways to make something completely different – this is where Photoshop comes in. I’ve considered learning Photoshop for a while as I’m a huge fan of Trey Ratcliff’s work, and recently I stumbled upon Brooke Shaden’s amazing images. Trey tends to amplify an image, enhancing reality, or simply bringing a photo closer to the level of detail the human eye actually sees. Brooke takes reality and warps it into a beautiful, often dark, fantasy. They are both fantastic teachers too, with extensive online tutorials available for free (just drop their names into YouTube for links). I have been through a number of these freebies and learned a lot, but occasionally I like to get a series of tutorials that I can download and watch offline and, contribute financially as a thank you for all the free stuff. As such, I recently purchased Trey’s Becoming an Artist series. Trey has a quirky sense of humour which makes his tutes very entertaining. He’s also a really good teacher. I’m up to episode 13 (of 15) which involves combining a photo with textures. I’ve had a go emulating Trey’s textures using ones I downloaded from Brooke Shaden (Texture of Colour 2_red and Texture of India_25) and some that I created myself. 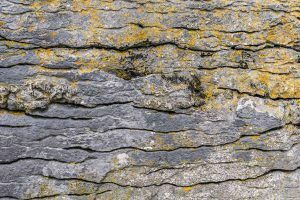 I love the textures you find on grave stones, and a lot of the stone slabs I’ve found about Ireland and Scotland. Photo a) has both of Brooke’s textures plus the addition of a Port Charlotte gravestone engraving. Port Charlotte, Islay and Loch Indaal. Photo b) also has both of Brooke’s textures, plus an overlay of stone texture from Inis Mor, Ireland. 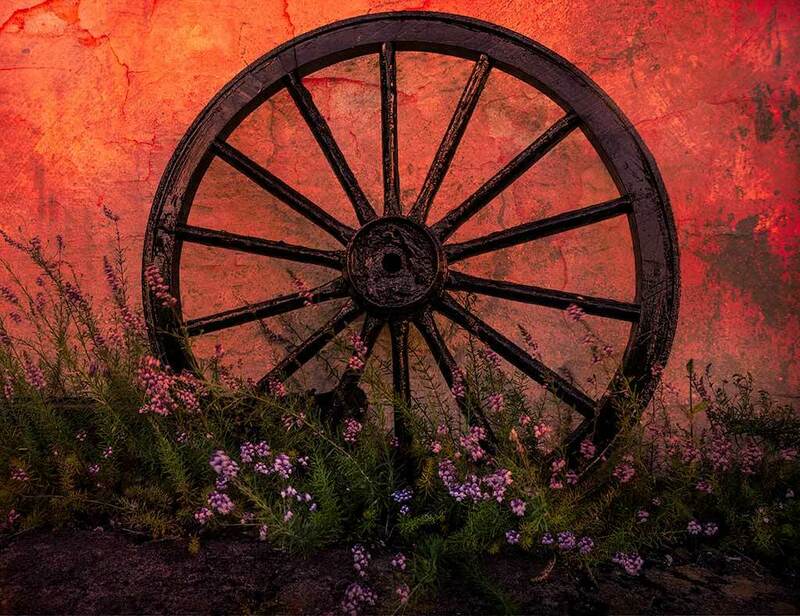 Photo C is of a cart wheel I found in Oban, Scotland with overlays of Brooke’s 1_purple and 2_red (I think .. i forgot to note which ones I used before closing the image!). I’m looking forward to Season 2 of Becoming an Artist, and I’ve also got my eyes on Brooke’s Creative Live Fine Art Portraits lessons.